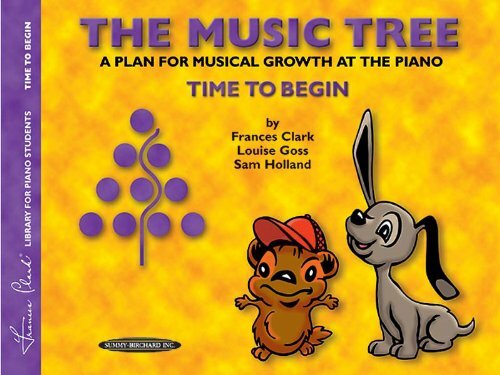 Time To Begin, the cornerstone of the Music Tree series, is a unique and highly effective approach to beginning piano instruction. Starting with off-staff notation, it leads the student to reading direction and intervals, and climaxes with the discovery of the Grand Staff. 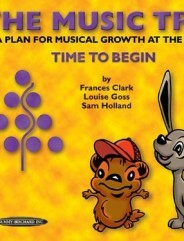 Also included is a carefully designed program of rhythm, technic and creative work. The cassette features electronic renditions of the music: it offers the accompaniment alone, or both the student’s and teacher’s parts. The Teacher’s Handbook is an invaluable tool. This volume contains essays regarding how students learn, on technic, and how rhythm is presented. Teaching aspects are discussed, and suggestions are offered for each unit of the book.